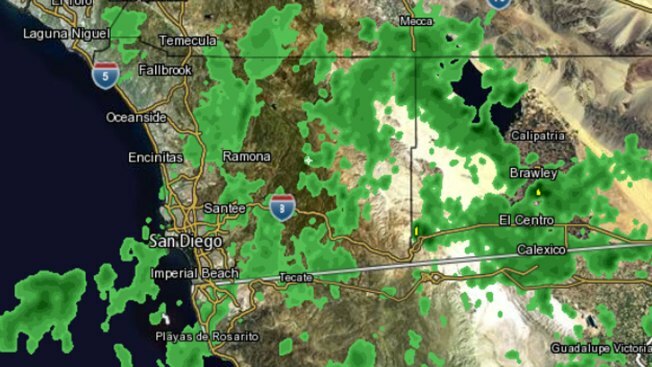 This still from NBC 7 Doppler Radar at 6:30 a.m. Tuesday shows the moisture moving north from the tropical storm. Remnants of Tropical Storm Simon moving north brought some much-needed rain to San Diego County Tuesday. NBC 7’s Doppler radar showed storm activity from the coast near Imperial Beach to the mountains east of Ramona. 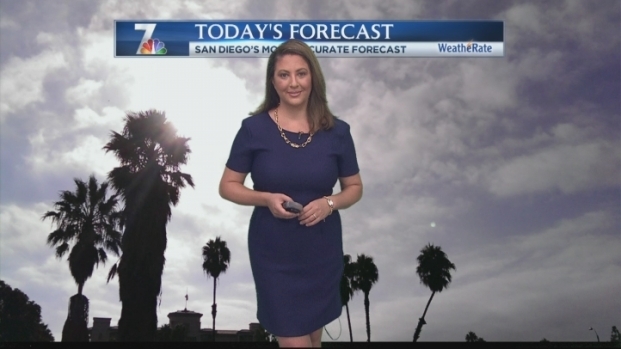 However, some of what appears as rain on radar will dry up before it hits the ground according to NBC 7 Meteorologist Jodi Kodesh. A big belt of moist air is moving north, headed to San Diego and that could mean a chance of showers throughout the day, Kodesh said. Simon was the eighth major hurricane of the 2014 Eastern Pacific hurricane season that weakened quickly before reaching land. The Mexican government issued a tropical storm watch from Punta Abreojos to Punta Eugenia on the west coast of Baja California.